What almost every Serbian traveler carries in the hand luggage? If you take a peek in the hand luggage of Serbian travelers, you’ll find one thing which is common for every bag, well almost every bag. Most Serbs always take Plazma when travelling somewhere, no matter if it is one hour drive or they switch continents. You will probably ask yourself what is Plazma. It’s mainstream among biscuits in Serbia, very popular biscuit for decades. So suitably to take it with you on traveling, there is a smaller package, so it does not take up much space in the bag. Sweetness taste makes you feel satiated, gives you enough energy to survive till regular meal. Today there are dozens of sweets made of Plazma: ice-cream, chocolate, shakes, cakes etc. But basic biscuit is the most famous on the territory of ex Yugoslavia. 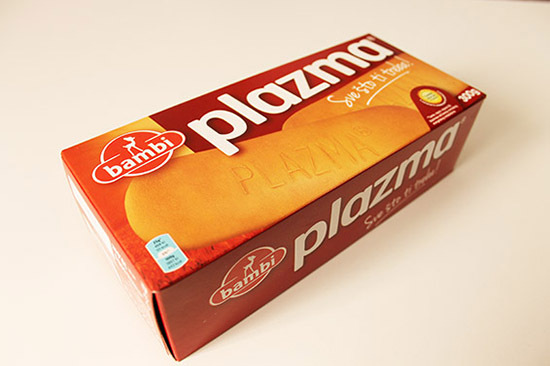 Production of Plazma started in 1967 in candy factory called Bambi in the city of Pozarevac. Plazma instantly became very popular, especially among kids. 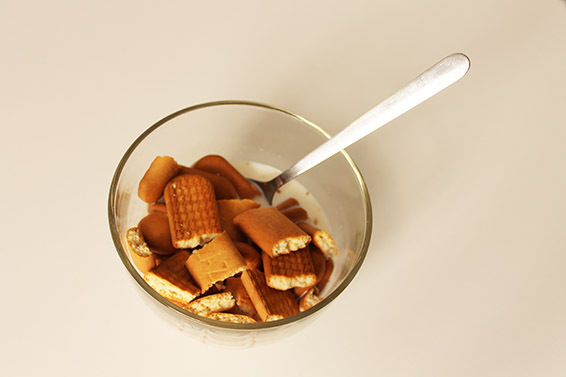 Most of the Serbs think that Plazma biscuit is originally invented in Serbia, but the truth is that the original recipe comes from Italian biscuit Plasmon. 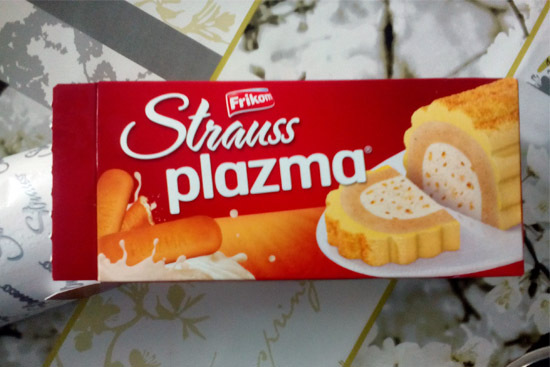 The recipe is changed for Plazma, but the taste is so good that most foreigners who visit Serbia and try this biscuit take at least one package with them when they return home. 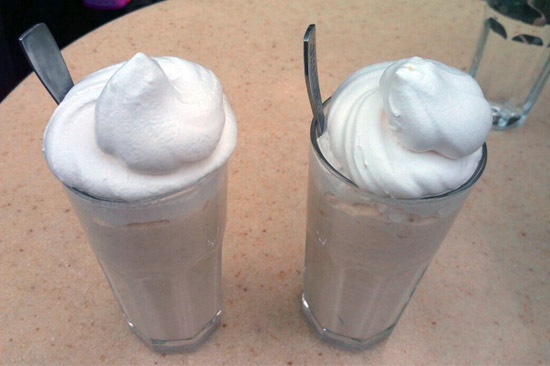 You can find this dessert in fast food joints, pancake houses or even in the restaurants. 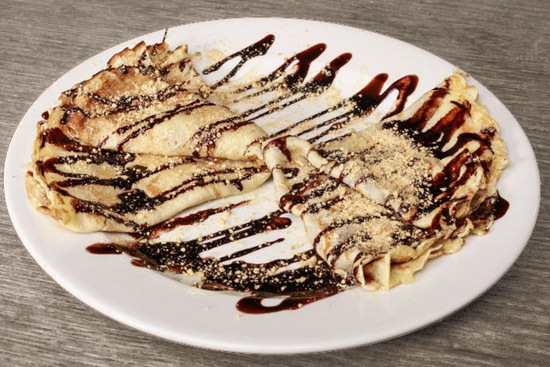 Before you order this dessert, first of all you have to check if they serve pancake with real Plazma or with some other, usually cheaper biscuit, because there’s a big difference in taste, take our word for it. This combination is something you should prepare once you return home with the whole package of Plazma 😉 You could prepare it for breakfast, dinner or as a snack. It can be ordered in almost every coffee shop. You can find it in ice cream stands on the streets or in the grocery stores. Every newspaper stand or shop has it.